Twelve delegates, six clergy and six laity, and two alternates represent Western Pennsylvania at the 2016 General Conference of The United Methodist Church in Portland, Oregon from May 10-20. 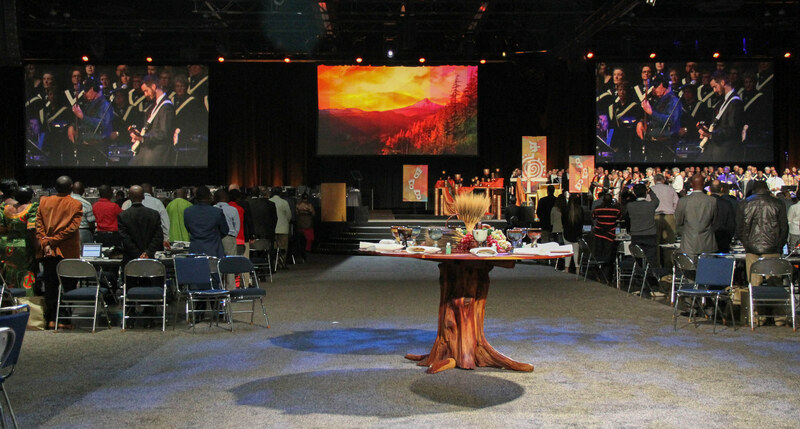 The General Conference, held every four years, brings together delegates from regional conference around the world to set policy for the denomination. The laity delegates are Conference Lay Leader Sharon Gregory, chair of the delegation; Nancy Denardo of Port Vue UMC; Rich Hoffman of Charter Oak UMC; Paul Morelli of Lakeside UMC in DuBois; Diane Miller, president of the Conference United Methodist Women, and Vicki Stahlman, Conference Sessions Team Chair and member of Brookville Evangelical UMC. Clergy delegates to GC2016 are Eric Park, pastor of Butler First UMC; Johnstown District Supt. Alyce Weaver Dunn, delegation vice chair; Robert Zilhaver, pastor of Lakeside UMC in DuBois, delegation secretary; Amy Wagner, Conference director of Congregational Development and Revitalization; William B. Meekins Jr., Assistant to the Bishop, and John Seth, pastor of Christ UMC in Youngwood. Serving as alternate delegates are Seth McPherson, associate pastor at Christ UMC in Bethel Park; Sung Shik Chung, pastor of Otterbein UMC in Greensburg; Erie-Meadville Lay Leader Don Blystone; Gregory Cox, Conference Director of Connectional Ministries, who is also volunteering as a recorder; and Tracy Merrick of First UMC in Pittsburgh. Merrick also chairs a Northeastern Jurisdiction Task Force bringing "A Global Connection Plan" for restructuring before the General Conference. WPAUMC delegates, from left, Amy Wagner, Eric Park, William B. Meekins, Jr., Nancy Denardo and Diane Miller. Delegates John Seth, Vicki Stahlman, Rich Hoffman, Paul Morelli, and Bob Zilhaver. WPAUMC Delegation Chairperson Sharon Gregory, left, and Vice-Chair Alyce Weaver Dunn.